Spirit never expresses itself other than pure perfection, therefore, whatever imperfections do exist are always the result of our individual or collective thoughts. Because this is true, it is not necessary that you hold onto anything for fear of losing it. In fact, you will never truly enjoy anything you must hold onto because freedom in all areas of your life is absolutely essential for you to grow into the truly great human being that you are able to become. These obstructions that we harbor are doubt, guilt, resentment, and thoughts of lack or limitation. Including any negative ideas which have a tendency to block the flow of creative energy to and through you. When we hold onto these obstructions, we are unable to make room for the image which we are trying to create. We must resolve to letting go of all of these obstructions so that we can make space in our lives for the good that we desire. Make room for the new you that you are creating and for that which you desire. Allowing your mind to fill with things that you have no use for stalls your ability to achieve that which you want. Let go. Make space for all the good that is awaiting you. Make room for new clothes – for the new you that you are creating. Make room for that which you desire. 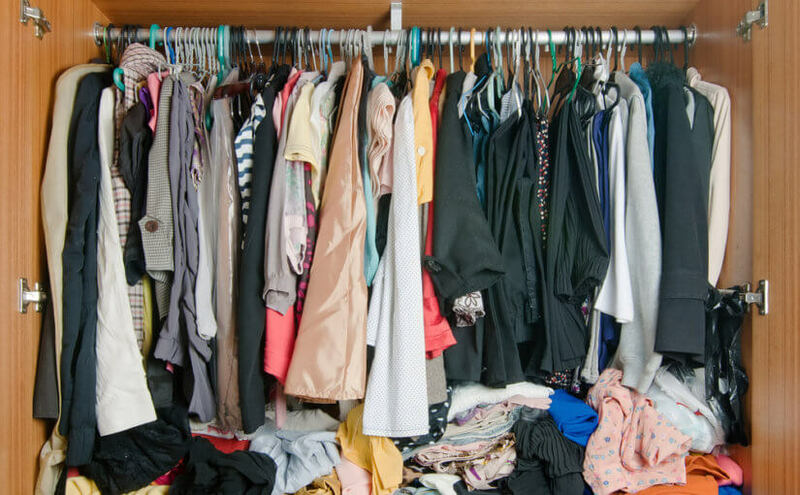 Not only do I encourage you to physically clean out your closet, I have metaphorically shown you how our minds get cluttered with those things that we no longer have a use for. It is time to clean house and let go. You must continuously make space for the good that you desire – this is an exercise you will practice for the rest of your life. Let go of the old so you may make room for the new.